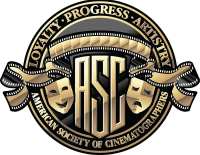 You’re invited to meet cinematographer Jules O’Loughlin, ASC, ACS at the historic ASC Clubhouse in Hollywood on Thursday, August 24, from 1:30pm-4:00pm, for a FREE Coffee & Conversation discussion event focusing on his work in the action comedy feature The Hitman's Bodyguard, directed by Patrick Hughes and starring Ryan Reynold and Samuel L. Jackson. A native of Australia, O’Loughlin’s other credits include the series Black Sails and the features Wish You Were Here, Krampus and The Whole Truth. He is a 10-time winner of the Australian Society of Cinematographers Award, and a three-time Australian Academy of Cinema and Television Award nominee. We’re excited to welcome him to the Clubhouse for this special event. Entry is FREE, but you must RSVP to [email protected] or call 323-969-4333 to save a seat. No onsite parking is available, but there is ample space at the Hollywood & Highland complex just a block away. The Hitman's Bodyguard will also be covered in the upcoming September issue of American Cinematographer.